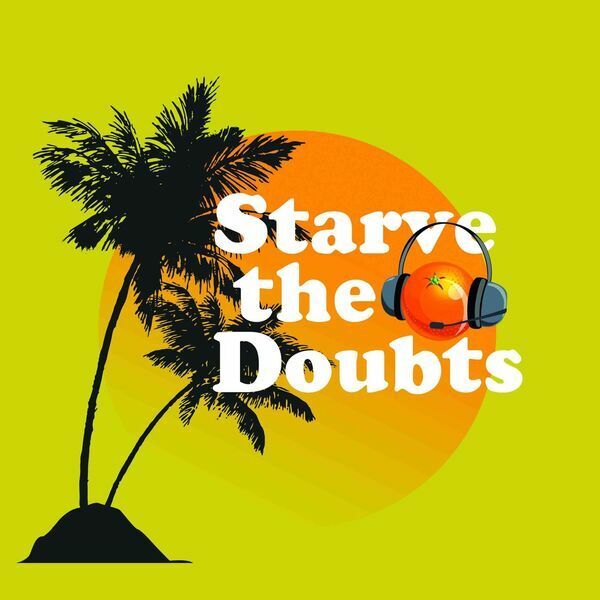 Amy Robles In this episode, Starve the Doubts host Jared Easley is joined by special co-host Spencer Cox, Lieutenant Governor of Utah, as they interview Amy Robles, an emerging presence online who’s doing big things. She is a military spouse, mom, blogger, host of The Family Knot podcast, friend, collaborator, a ray of sunshine, and she loves to chat over nachos! Amy was recently featured on The Huffington Post for the excellent work she’s been doing on the podcast, a show especially made for military spouses, moms, and side hustlers. Her blog womanenriched.com is also about financial strategies and how to do better as she seeks to help women live enriched lives by feeling inspired, energized, and uplifted with the strong support of family and friends. Listen to this episode as Amy’s sweet, endearing personality comes through and find out why Amy is so amazed by the fact that she’s having this very conversation with Jared and Spencer. In this episode, you will learn more about: Where the navy has taken Amy and her family 2014 - the year that changed her family’s life! Joining Dave Ramsey’s Financial Peace University Paying off $25,000 of their debt What drove her to start her own podcast How Starve the Doubts impacted her life Ways to starve her doubts Why she named her blog womanenriched.com The challenges of being a military spouse Finding the perfect name for her podcast Amy’s tips for military spouses Her money saving secrets Items mentioned: Moving from Hawaii to Washington state Saving up for Dave Ramsey’s Financial Peace University and going through the program Blogging and podcasting Getting nervous and scared and nauseous Seeking help from friends Listening to Starve the Doubts and getting inspired by this message: “You can do it! You can face your fear and step out and be brave. Do something different.” How she starves the doubts along this process: The 100 Rejection Letters project Blogging and podcasting Why being a military spouse is stressful From being a cooperative team to being a one-man show The uncertainty of when your spouse is coming back The element of loneliness The need to reach out and make friends fast Why she named her podcast The Family Knot Her advice for military spouses: It is never, ever wrong to ask for help. Her money saving secrets: Stay away from buying little things. Take a chaperon with you when going to the store. Give three valid reasons why you need to buy a certain thing. Needs vs. wants Connect with Amy @itsamyrobles www.womanenriched.com http://womanenriched.com/family-knot/ Amy’s final thoughts for the listeners: “Maybe it’s your finances, maybe you’ve just got a house that is drowning in clutter… you don’t do it all in one day. It’s one step at a time.” Need encouragement? Send Amy a message and she’d love to cheer you on. Truly.